Latinx disco-pop sensation Cola Boyy, who has spina bifida, has one mission: to blow up people's ideas of what's possible. Matthew Urango tried to find work around his hometown of Oxnard, California as a high school student, but was rejected from every place he applied. He says that most places were not open to people with disabilities, and he realized that the ordinary life he had expected and longed for was not necessarily an option easily available to him. Urango was born with spina bifida, which is a condition in which the spine and spinal cord do not form correctly. The neural tube does not fully develop during the early part of the pregnancy, so the spinal cord protrudes out of the column. For Urango, this led to kyphosis and scoliosis, which are two different types of curvatures of the spine. 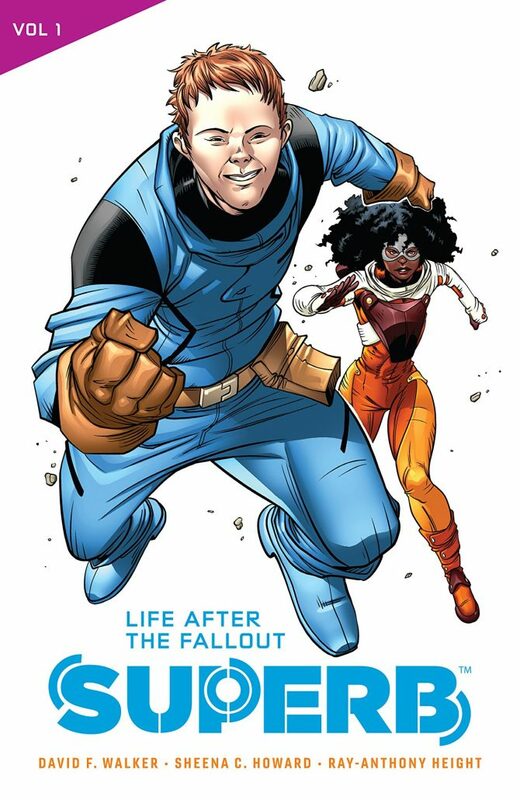 He also had a severe clubbed foot, which led to him getting a prosthetic leg. When looking for a mainstream job, in the strawberry industry of Oxnard, for example, Urango was turned away when employers found out about his disabilities. Urango, now known by his musical pseudonym, Cola Boyy, writes and performs disco-pop and punk music around the world. 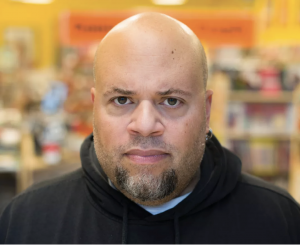 He organizes with a leftist collective to fight for justice in his immigrant community. While the mainstream working world would not hire him, Cola Boyy made his own path in the music and activist worlds. Cola Boyy began exploring the arts as a young teen, starting guitar classes at 14. He talks about his high school guitar teacher, Mr. Wingland, who tried to teach the students to play in a structured manner and learn how to read music. But eventually, Mr. Wingland relented, seeing just how talented Urango and his friends were when they explored music from a more freestyle and competitive perspective. When Cola Boyy listened to music in those day—whether it be music on the radio or in Alpine, a local music venue–it always felt magical. He says that he didn’t think about the process of how music was made. At that age, it simply felt like the songs came into being. He liked pop, and decided that’s what he wanted to write and perform. But it was punk that gave him his start. He began attending punk concerts in his neighborhood once a week. Many of the concerts were in the backyards of his friends, and he loved the scene. After a few years of watching, Cola Boyy noticed that one of the bands he listened to, called the Sea Lions, was missing a bass player and he asked to join. The Sea Lions took him on. They toured outside of Oxnard, even traveling to Japan and New York to perform. When Cola Boyy describes his eight years with the Sea Lions, he lights up. Adrian Pillado, the lead singer, taught Cola Boyy how to write songs and run and band. 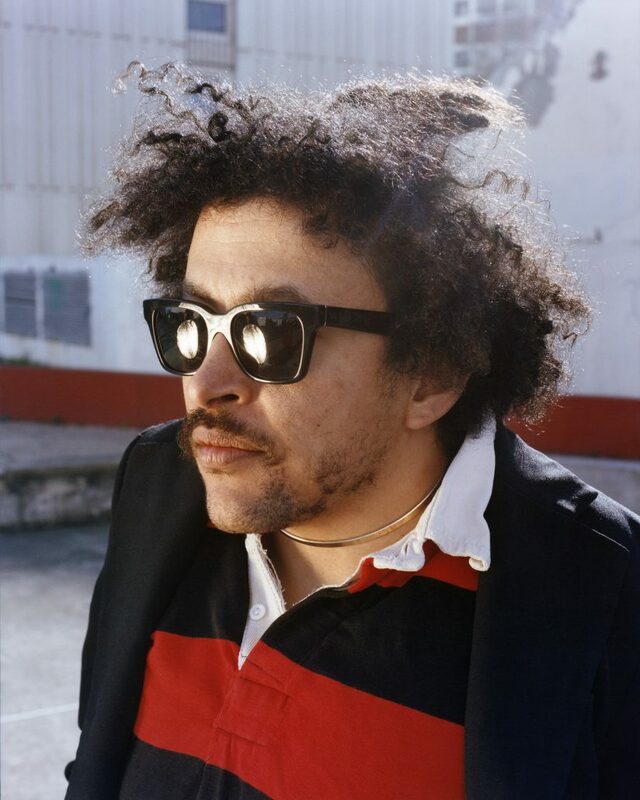 In addition to concentrating on his music, Cola Boyy began working as an activist with the group “Todo Poder al Pueblo” and a leftist reading group in 2016. Those groups work to support immigrant rights and fight against police violence and gentrification. “[Music alone] isn’t going to change the system,” Cola Boyy says. At the end of the day, Cola Boyy believes that it’s important for people from disenfranchised groups to see themselves where they’d like to be, whether that’s on stage, in politics, or following any other dream. The ultimate success for Cola Boyy, though, would be to become so famous that people stop paying attention to the fact he’s disabled at all. “Every day I walk out the door, I’m still looked down on for the way I look.” But by fully embracing what makes him unique, and writing some killer songs while he’s at it, Cola Boyy is showing the world it doesn’t have to be that way. The Chicago Marathon requires a special wheelchair to qualify. But Stephen Norris, who has spina bifida, refused to sit by the sidelines. When Stephen Norris received his medal at the Bank of America Chicago Marathon, he cried. For Norris, participating in this marathon was thought to be impossible. Because Norris has Spina Bifida Myelomeningocele, a birth defect that stops the spinal cord from developing properly, he uses a wheelchair. Even more impressive? 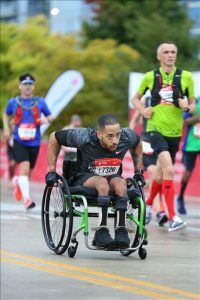 He finished the Bank of America Chicago Marathon despite the fact that they prohibit wheelchair users from participating without a racing wheelchair, which he does not have. Stephen Norris racing in his day wheelchair at the Suffolk County Marathon. He wasn’t going to let that stop him. In 2017, Norris set a goal to become an Abbott World Marathon Major Six Star finisherm meaning he would complete all six of the Abbott Marathon World Majors. Those marathons are held in Chicago, New York, Boston, Tokyo, Berlin, and London. So he “took a leap to challenge the authority” that created this “unjust and unfair” policy. When he was 21, Norris suffered an injury that left him bedridden for eight months. At the time, he weighed 116 pounds, and that increased to 210 pounds. “I became depressed and developed a poor relationship with food, and binged daily as a coping mechanism,” Norris says. In an effort to lose the almost 100 pounds he gained, he began wheelchair running in 2001. He participated in his first marathon length run on September 25, 2016 and finished it in 3:48:38. 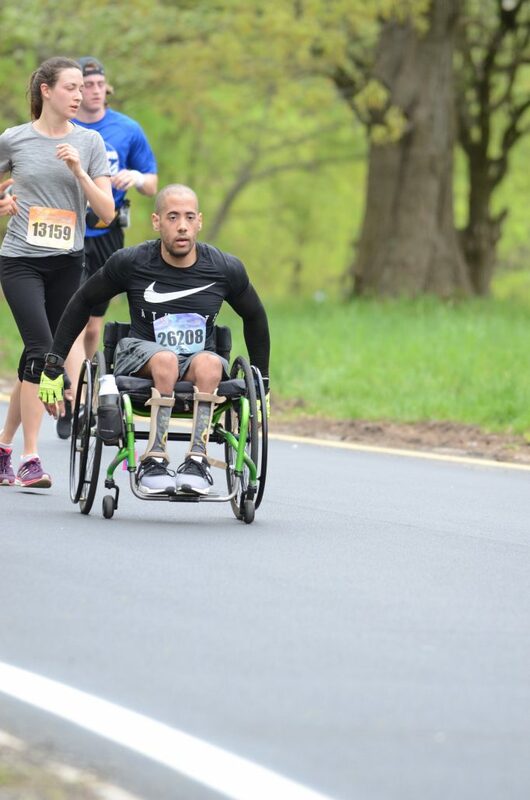 In 2017, he ran in the Suffolk County Marathon, finishing at 3:04:37 and landing in 9th place in the running division and 1st place in the wheelchair division. He was the only runner in a wheelchair. Norris showing off his Bank of America Chicago Marathon runner’s tag. Marathons come with many challenges, especially for runners in wheelchairs. Most have rules against people in so-called “day chairs” (or what most people would think of as ‘normal’ wheelchairs) competing, and four of the six World Major Marathons prohibit the use of day chairs and only allow racing wheelchairs. Racing wheelchairs can be expensive to purchase and maintain, as well as being difficult to transport and use, which makes them prohibitive to many wheelchair users, including Norris. Additionally, he doesn’t have a desire to use a racing wheelchair. “I do not aspire to be a wheelchair racer, and have no intentions of ever competing in the sport,” he said. Knowing he’d never qualify for the Bank of America Chicago Marathon in a racing wheelchair, Norris entered the marathon using his previous time as a qualifier. When he signed up, no one stopped him. 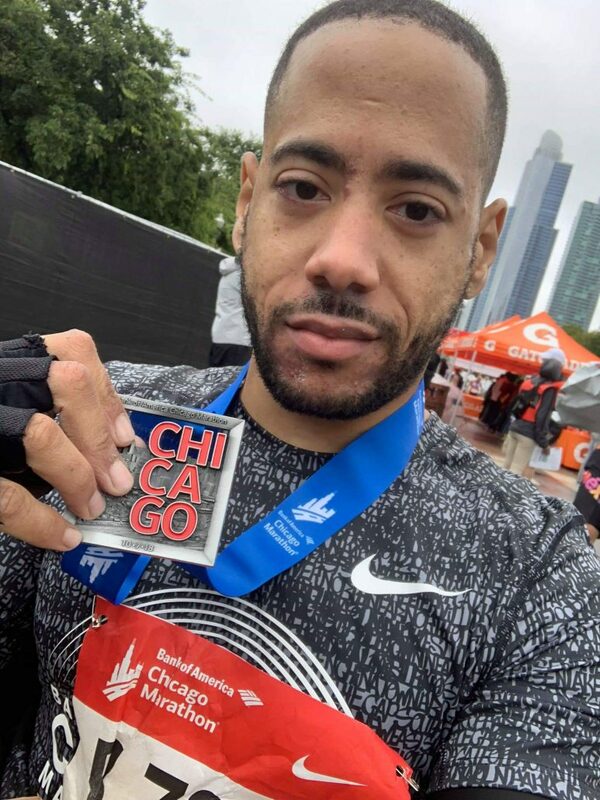 After running the Suffolk County Marathon, Norris realized his time would qualify for him to run the 2018 Chicago Marathon as a guaranteed entry, so he applied and was approved. But no one stopped him from entering, and Norris was able to complete the race with no interruptions. He finished with an official time of 3:22:41 and placed 1,465th out of an estimated 44,000 participants, which put him in the top 10 percent. The most memorable moment for him, though, was crossing the finish line. He is the only person in the 40-year history of the Chicago Marathon to compete and finish in a daytime use wheelchair. Norris’s friends and family tracked his time through the Chicago Marathon app, and he said the response he’s had has been “overwhelmingly positive,” but he has faced some pushback from people who think he should respect the race rules. But Norris won’t back down. After realizing his dream of competing in the Chicago Marathon, Norris plans to compete in the New York City and Berlin marathons in 2019 to collect two more stars towards his Abbott World Marathon Major Six Star. He even has dreams of being sponsored by Nike. As of now, the only major marathon that has a day chair category is the London Marathon. The Chicago Marathon has added Spina Bifida as a condition that qualifies for the Athletes With Disabilities division, but the rules still state that only racing wheelchairs will be allowed. That isn’t good enough for Norris. “I want to live in a world where all marathons are open to all people, of all abilities, not all abilities with an asterisk,” he said. 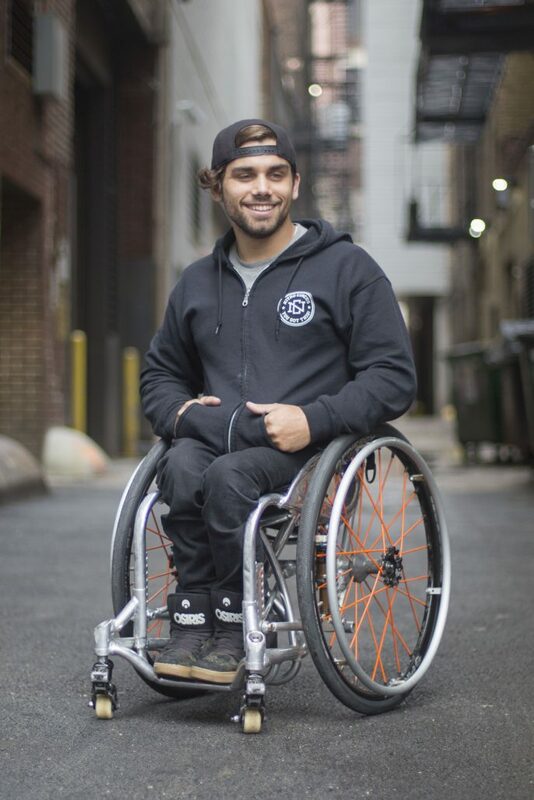 To Aaron Fotheringham, founder of Wheelchair Motorcross, spina bifida isn't a curse. It's an opportunity to blow people's minds. Aaron Fotheringham prefers to think of his wheelchair as something he rides on, not in. To see Fotheringham, who was born with spina bifida, a defect of the spinal cord, launch himself airborne at high speeds is a true spectacle. More often than not, society couches the disabled as individuals in need of protection and supervision. In a ten second clip of Fotheringham soaring off a mega ramp, then landing, that stereotype is wholly ruined. It is powerful stuff. It was exactly this sort of clip that kick-started Wheelz’s career. On July 13th, 2006, at an extreme sports summer camp, a young Fotheringham was recorded landing his first backflip. A counselor there had the good sense to upload it onto YouTube (“Aaron Fotheringham: FIRST backflip in wheelchair! !”), where it quickly went viral. Within months, Fotheringham had his first sponsor, a German tires manufacturer called Schwalbe. Then came invites to show off his skills around the globe. More sponsors offered their services, like Box, a custom wheelchair maker in Texas. All the while, Fotheringham was pushing the envelope, working on harder and harder feats. Following the backflip was a frontflip, then a double backflip, a 360, grinds and other bodily contortions. This August he completed for the first time something called a “flare”, a backflip 180, at a massive ramp in Woodward, California, where he had landed his first backflip twelve years earlier. Pain is a constant. Fotheringham has broken his front teeth out several times; he gets them super-glued back in. Because he’s anchored to his chair, he receives more head injuries than your average skateboarder, who can land on their knees; when he falls, his head is pitched groundward to the side; he has suffered more concussions than he can count. Between thirty and thirty-five chairs have broken beneath him (his new custom chairs are made of aerospace-grade aluminium alloy). Fotheringham was eight the first time he attended a skate park. fter he mastered the quarter-pipe Fotheringham moved onto the half-pipe, then the next biggest ramp, and the next. Eventually a man at the park named Joe Wicker, “a super rad dude with long hair”, began informally coaching Fotheringham, who progressed quickly. Aaron Fotheringham, in a rare shot obeying the laws of gravity. In his homelife Fotheringham’s disability hardly registered. He grew up with five siblings; he was adopted. His parents treated all of them the same. “They wouldn’t give me any special treatment,” he remembers. His school wanted to, though. They tried to put him in an adaptive PE class but the young Fotheringham rebelled. “I didn’t want to be treated specially. It just felt like, ‘Why can’t I just be with all the other kids?’” He stayed in the regular class. Yet, despite doing just that, Fotheringham did not get into wheelchair motocross with the intent of challenging stereotypes. 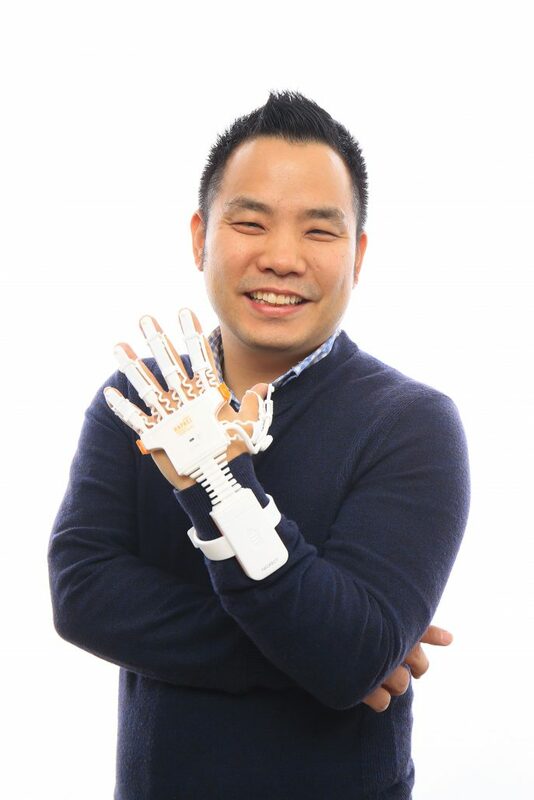 But he is happy to change minds, to convince people to “see the chair differently” (he once smilingly described spina bifida as “a great opportunity”). In his case, actions speak louder than words. At the Nitro Circus, an influential extreme sports touring show put on by Travis Pastrana, tens of thousands of people see Fotheringham do his thing every year. He has toured with the show since 2010, from Auckland to Denver. “It’s such a rush to see the whole crowd there and have everyone just cheering. It’s a cool feeling,” he says. Fotheringham’s success, though a dizzying whirlwind, has been the unlikely realization of a childhood dream. In creating his own sport out of (and through) thin air, in shattering all preconceptions of what a kid in a wheelchair could accomplish, Fotheringham has lived out his fantasy. He’s still living it. He continues to tour with the Nitro Circus. 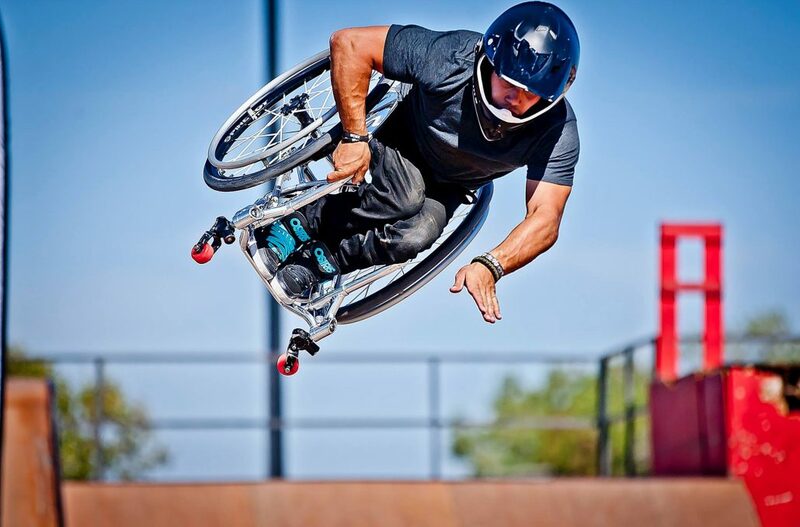 He and others are trying to get WCMX into the Paralympics. Alongside nurturing a successful speaking career, Fotheringham was recently married. He is also, of course, always among ramps working on new tricks. 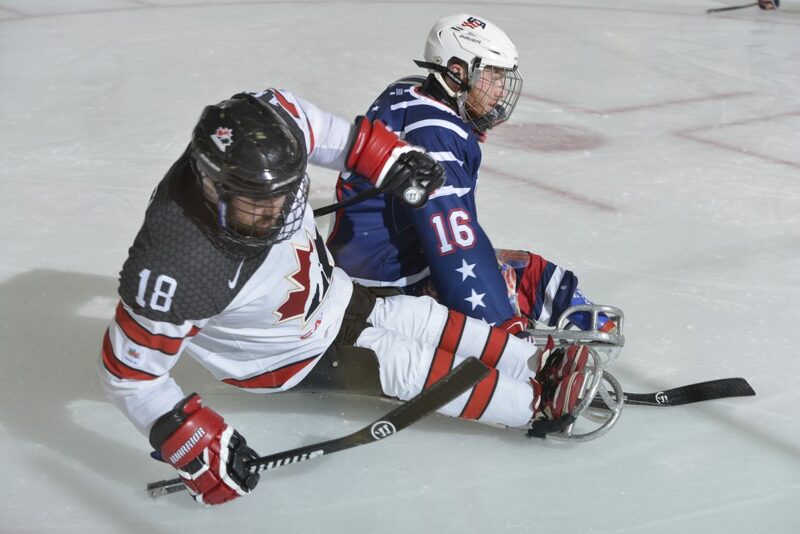 Born with spina bifida, sled hockey star Billy Bridges is more motivated than ever as he heads into his fifth Paralympics. 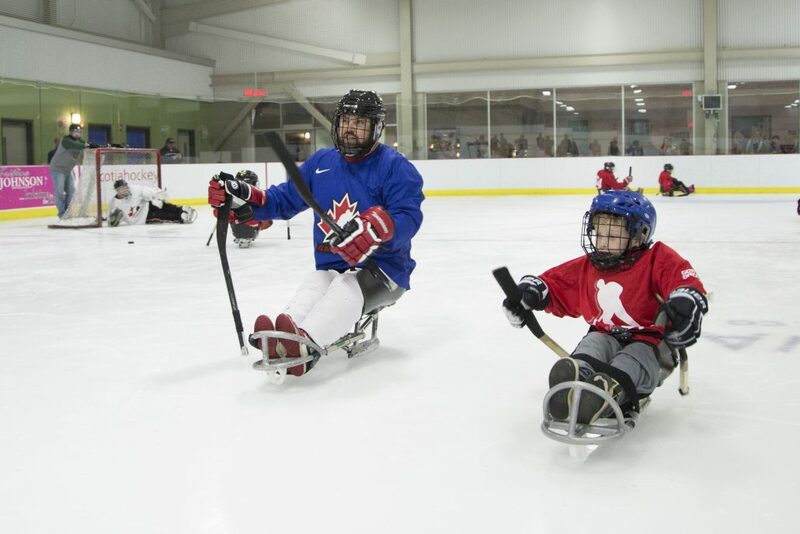 The sport he plays is known officially as “Para ice hockey,” as “sledge hockey” in his native Canada, and as “sled hockey” in the United States. But whatever you call it, there’s no missing the 80-mile-per-hour, one-handed slap shot of Billy Bridges. 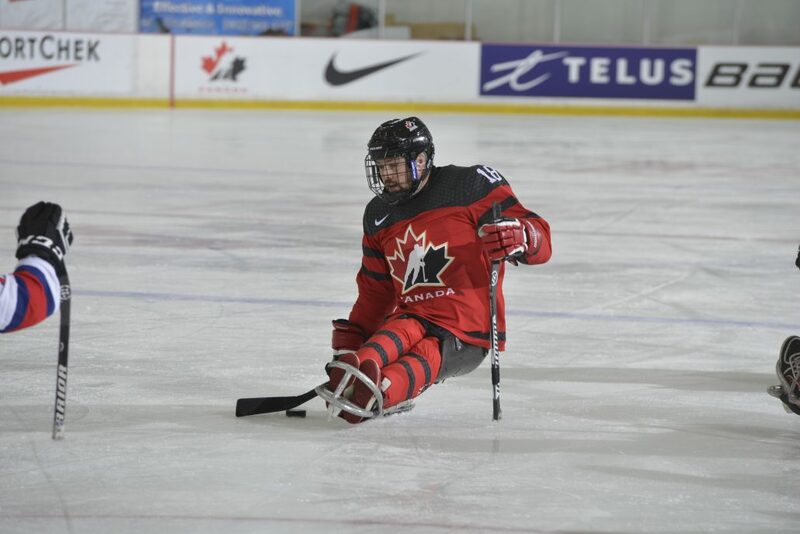 Being born with spina bifida (a spinal cord disability that affects mobility) hasn’t held back the Canadian national team’s all-time leading scorer. Bridges, 33, led his homeland to the gold medal at the 2017 world championship in Gangneung, South Korea – also the site of the 2018 Winter Paralympics. There, the Toronto resident is eager to claim Canada’s first Paralympic hockey gold since the 2006 tournament in Turin, Italy. His chemistry with longtime teammates Brad Bowden and Greg Westlake makes that hope realistic, even against the two-time defending Paralympic champion Americans. This colorful four-time world champion was just 14 when he made his national team debut. He’s also played international wheelchair basketball, which has taken him everywhere from Australia to Argentina, but his heart is with hockey. Though known for his rough-and-tumble style, Bridges has also studied English literature at the University of Toronto. 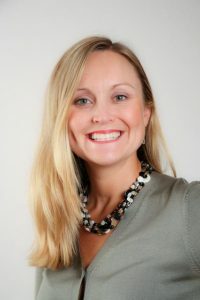 In 2011, Bridges married Sami Jo Small, an able-bodied Canadian female goalie who won two Olympic gold medals before co-founding the Canadian Women’s Hockey League. They have a two-year-old daughter named Kensi. With the clock ticking down to the Paralympics, we caught up with Bridges, whose articulate candor and wide-eyed appreciation for his sport are infectious. How would you describe your daily training? Usually, we’ve got two hours of ice in the morning. And then a quick little break, and then we go for a strength workout. And then we usually go from there to physio or anything to keep our bodies going, hot tubs, anything like that. 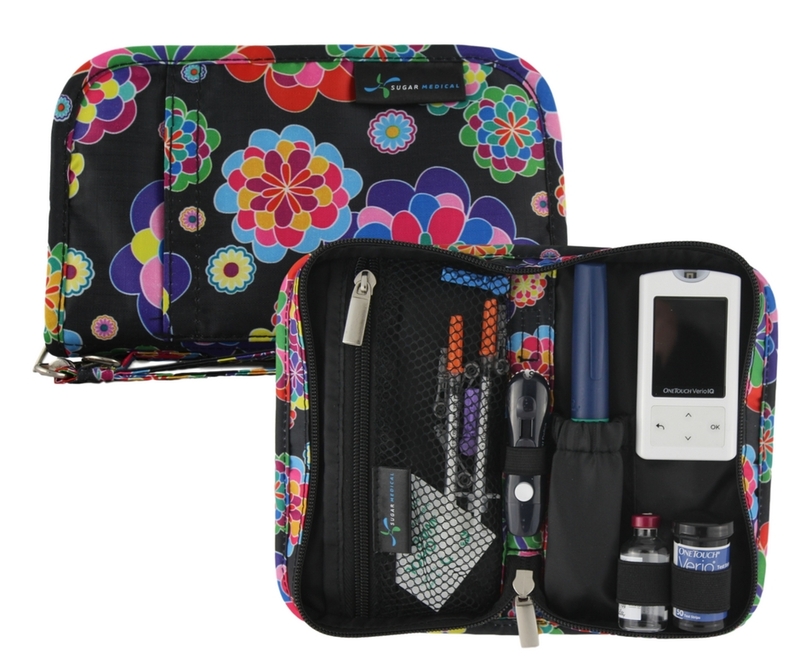 I usually have my daughter for the whole afternoon or evening, and then we do cardio at night or some stretching. My favorite workouts are real heavy strength stuff. I’ve always been lucky to put on muscle pretty easily. Circuits definitely kick the crap out of me, so I hate them. Or long-distance cardio. What’s behind your big shot? I spent countless hours in the basement and garage in my dad’s house, putting pucks through the wall. I think it had a lot to do with those sticks we used to make. They probably weighed two or three pounds and they were about a foot and a half long. I used crutches growing up and I always wanted to skateboard, so I was skateboarding on my crutches. Probably all those things developed my wrist strength. I think I just fell into the right technique. As a kid, I was really intrigued by the NHL All-Star Game. Whenever we got empty ice, I’d get my buddy to pass me pucks and we’d hang up plates from the crossbar and try to hit them like Ray Bourque. I always wanted to have a big slap shot like Al Iafrate or Al MacInnis. Then as I started playing myself, I became a fan of powerful Canadian forwards like Rick Nash and Sidney Crosby. Those would be the guys I try to model my game around now. What kind of music fueled you as a kid? I was in metal bands growing up. Especially looking back now, I think I had a pretty rough childhood. Obviously a lot of it was my own doing, not understanding where I fit in and not understanding the criticism I would get from people. I would take it all to heart. All of a sudden you’re mad at your mom and you’re mad at this and that. Metal was my way to release it. Back in the day, I loved Deftones, Korn, and Slipknot. The old heavy stuff. I’d listen to a bit of Iron Maiden and Metallica, but pre-game was definitely a lot heavier stuff. But it would throw me off so much! I’d be jacked and pumped, and I’d go out there and bring my arms up and try to kill guys. It made me pretty intimidating. A lot of times, I’d go after people and they’d just leave the puck. That’s how I got a lot of my steals and my points growing up. It wasn’t until a few years ago I realized I needed to harness something different than angst. It wasn’t until a few years ago I realized I needed to harness something different than angst. Can you share some memories about beating Norway 3-0 in the 2006 Paralympic gold medal game in Turin, Italy? Before the gold medal game, Brad Bowden and I both thought we were leaving at 3:15 pm. It turned out it was actually 2:45! Brad was on the phone with his grandma, shooting the breeze. I was playing video games because the Olympic Village always has the coolest video games area ever. We were just mucking around. Then our staff comes up: “Guys! We’ve been looking for you for 20 minutes! The bus is leaving!” We were like, “Oh no!” We ran and got in. It was funny just how loose and carefree we were. We looked around and some of the veterans were a little panicked. But we clearly carried that looseness right into the game. The play really shows, when I watch that game, the level we were at. On the second goal, I was going to dump it in and it went off a player right to Brad. He dangled past three guys and got it back to Greg Westlake. It was pretty cool. Also, the number of shot-blocks we had in that game was pretty incredible. Fortunately, Norway had a lot of predictable shooters. We were able to get in front of them. We had a lot of injuries, bruises and broken ribs in that tournament, but it was so worth it in the end. What has having a daughter meant to you? It’s given me such a perspective on life that I never thought I’d have. It blew my mind. I was raised by women, so I always wanted children growing up. Me and my friends, who were always girls, we’d always name our kids and think about what sports we’d want our kids to do. It was funny because Sami had all guy friends, and when it came time to choose names, that was the first time she’d even ever thought of it! So we had a lot of debates about that. It’s incredible how much you can love something in an instant and how every single day Kensi lights up my life so much. It’s so much fun to come home to her after training or even a tough loss. You come home and she’s screaming “Daddy!” and running at you. It’s such a life-changer. What’s the biggest life lesson that you pass on to other young people with spina bifida? A lot of times, I’m trying to pass on lessons to the parents of those kids. Especially now being a parent, you understand where a lot of them are coming from. I’ve seen so many people with the same abilities I have really deteriorate to the point where it’s bad. When you get too much help from your family and your parents, they can set you back years. 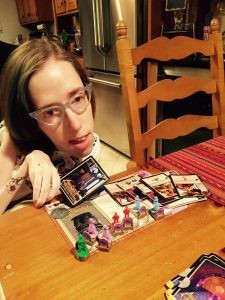 I was pretty lucky that my mom was so strict and made me do chores, and that my friends encouraged me to go skateboarding and play sports despite my disability. 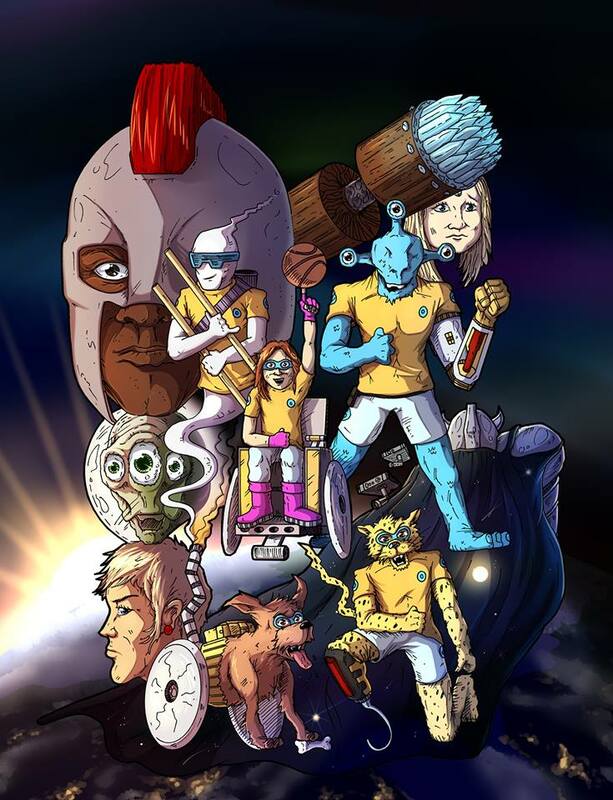 I encourage people with spina bifida to find their niche, find their sport. Understand that with our disability, you can play any sport you’d ever want to play. Find which one you love the most and stick to it. There are so many times when we’re praised as disabled kids for just doing normal things instead of being continually pushed. That’s what I try to encourage parents to do. There are so many times when we’re praised as disabled kids for just doing normal things instead of being continually pushed. My goal is more of a day-to-day goal than it used to be. Obviously I want to win a Paralympic gold medal. But I’ve refocused in the last year to really have a daily or weekly goal in my training and live that disciplined lifestyle that our staff and more experienced veterans back in the day used to talk about. I never felt like I needed it. Now that I’ve done it, I’ve seen where it’s taken my game. My goal now is to continue doing that and see how far it can take me. I’d love the opportunity to play on this team for another four years while keeping as strict as I can, to see how good I can get. Now I’m trying to step up to guys on our team who are extremely fast and trying to beat them in races. I never used to have that competitiveness when I was younger. If we were racing for a puck, I’d always let the guy get it and try to find a way to hit him off it. I never had that “I need to be there first” racing mentality. But I find with my discipline that’s coming, it’s more of a natural thing. I feel like every shift I’m thinking about putting in hard work, just like with my training. I want to see how far I can take this. Wendy Pasinski eyes the incoming ball and wheels furiously across the court. It bounces once, then twice as she swivels into position. She swings her racket, connecting with a powerful forehand that sends the ball straight into the net. “Ugh,” she groans, with a self-deprecating laugh. Pasinski, 43, isn’t happy with how she’s playing this morning. But in wheelchair tennis, like any sport, there are good days and bad. Some 30 athletes have gathered in Encino, CA on this hot, cloudless Saturday in April for the 4th annual West Coast Wheelchair Classic, a local tournament sanctioned by the United States Tennis Association. Matches sprawl out over four courts as players from across southern California compete for trophies and ranking. Between games, they talk strategy, and cheer on their fellow contenders. Grunts and whoops of joy or disappointment punctuate the air, along with the soft thwack of balls hitting rackets, and the continuous whir and scrape of wheels pivoting on pavement. Pasinski is the only female entrant in the tournament this weekend, so she is playing against male opponents in the men’s B division. It’s not unusual at the local level, she says, but not ideal since the games won’t count toward her ranking. Formerly 6th in the U.S. in the women’s wheelchair A division, she has been working to boost her numbers after a back injury knocked her out of the circuit for much of last year. She relishes the chance to move again, to return to an activity that buoyed her spirits. “It’s good for us emotionally to be out here, especially when we’ve been physically impaired after an accident,” Pasinski says. Pasinski faces her male opponent, Michael Garafola, who also plays on her wheelchair basketball team. Pasinski is tan with a blonde ponytail pouring out the back of her white baseball cap. She’s a bright spot on the court in her electric blue top and pink sneakers. You can hear her bubbly laugh halfway across the tennis center. Her first match of the day is against Michael Garafola, 41, a teammate of hers from wheelchair basketball. Pasinski is quick in her chair. She pushes hard to reach the ball, racket in hand, and scrambles to make a shot. “That’s what I’m talking about!” she exclaims after sending back a solid return. Pasinski lands in the second category. Once an ambitious college athlete, she played basketball, ran track and also dabbled in golf growing up. But on a skiing trip at age 20, she took a jump in slippery conditions and lost control of her skis. She somersaulted through the air, falling hard on the ice and sending two of her vertebrae into her spinal cord. She was paralyzed from the waist down instantly. It’s good for us emotionally to be out here, especially when we’ve been physically impaired after an accident. For 15 years after her injury, Pasinski avoided sports. “Part of it was a mental block. I played basketball able-bodied; I didn’t want to play sitting in a wheelchair,” she recalls. After her son was born, she met a woman whose son played wheelchair basketball and she reconsidered. A week later, she went to UCLA, borrowed a basketball chair and played her first game. Then a friend introduced her to tennis. She loved it. “The sport offered me freedom that I hadn’t felt for so long,” she says. 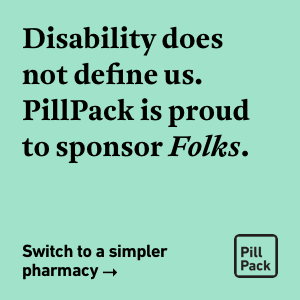 Garafola, who has been playing wheelchair basketball since 2002 and competitive tennis for just over a year, says getting into sports reawakened his athletic drive after a car accident left him unable to walk at age 15. 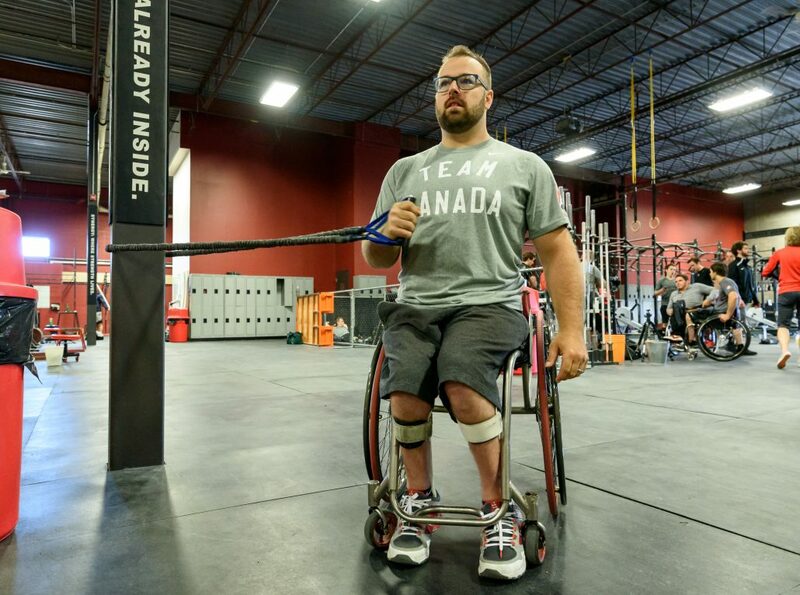 “Adaptive sports, for me, was like a rebirth,” he says. “My competitive fire was gone for 12 years, and this brought that passion back. The accident changed my life, and then sports changed my life again.” He now runs an adaptive sports program for kids at UCLA. Wheelchair tennis was established in 1976 by Brad Parks. It is now overseen by the International Tennis Federation, and has been a Paralympic sport since 1992. The rules are nearly the same as in traditional tennis, with one major exception. The ball is allowed to bounce twice before each return, compared to only once in traditional tennis. The first must be in-bounds, while the second may be anywhere on the court and the ball can be played. Otherwise, the scoring, courts and rackets are the same. One key difference, however, determines how successful a player will be on the court: chair skills. In wheelchair tennis, your racket doesn’t matter as much as your other equipment. Wheelchairs encompass a surprising range of apparatuses suited to different purposes. Everyday chairs are the ones people use to get around in daily life, with two large rear wheels angled straight up and down and two smaller casters in front. Then there are sports chairs: vehicles designed for tennis, basketball, racing, rugby, and soccer. Sports chairs have canted wheels angled outward at the bottom for greater stability and tighter turning. Sports chairs cost anywhere from $1,500 to $5,000 and are custom fitted to their users. “You kind of become one with the chair,” says Jerry Russell, 47, who founded the West Coast Wheelchair Classic. Adaptive sports, for me, was like a rebirth. Later in the afternoon, Pasinski is back on the court for a doubles match. She and partner Zack Wentz, a 23-year-old USC student, are returning every shot and the score is rising in their favor. “Great shot, Zack – put it where they ain’t!” Newman calls from outside the court, where Pasinski’s husband, son and daughter also watch. After a grueling match, they clinch a sound victory and advance in the bracket. “That was like night and day compared to this morning’s match,” Pasinski says, grinning. All photographs by Sketch Pasinski.